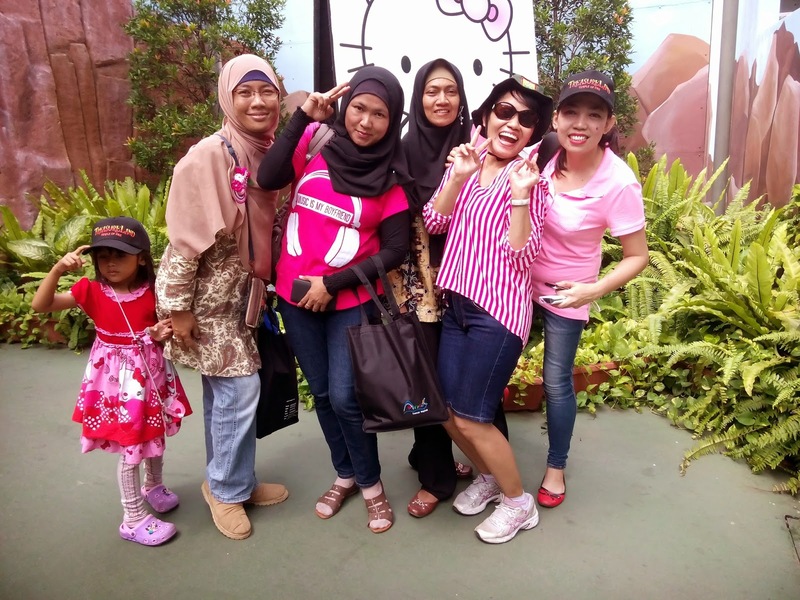 What a fun day I had last week with the other bloggers from KEB (Kumpulan Emak Blogger) in Dunia Fantasi Ancol to celebrate Ancol 30 years anniversary. I was actually planning to go to Ancol with my house maid, Purwanti - she hasn't been to Ancol so I wanted to bring her for her holiday. Luckily, I got free entry tickets to go there, so that her lucky day! I went with the other bloggers from KEB, as usual I picked them up first :D. With Maya, Novita as well as her son, and Purwanti, we left south Jakarta around 9am. As usual I used Google maps as my guide for traveling - I'm depending so much on this apps for good reasons! 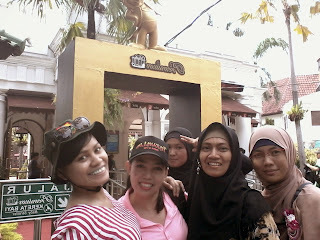 The trip to Ancol went smoothly - we weren't lost at all. Surprised! Lol. Was a bit traffic on the toll to Ancol way but we had a good fun in the car at least. Arrived in Ancol before 11am which was good because we had time to look for the car park. When we got there we met the other bloggers from KEB who mostly brought their kids - good timing for them as this kids event! Like celebrities, bloggers and journalists had own their entry gate with nice red carpet - we were honored by this (thank you Ancol's management!). Of course, I had to take a picture on this VIP entry gate for a proof :D. After registering we were brought by nice lady to the event place. 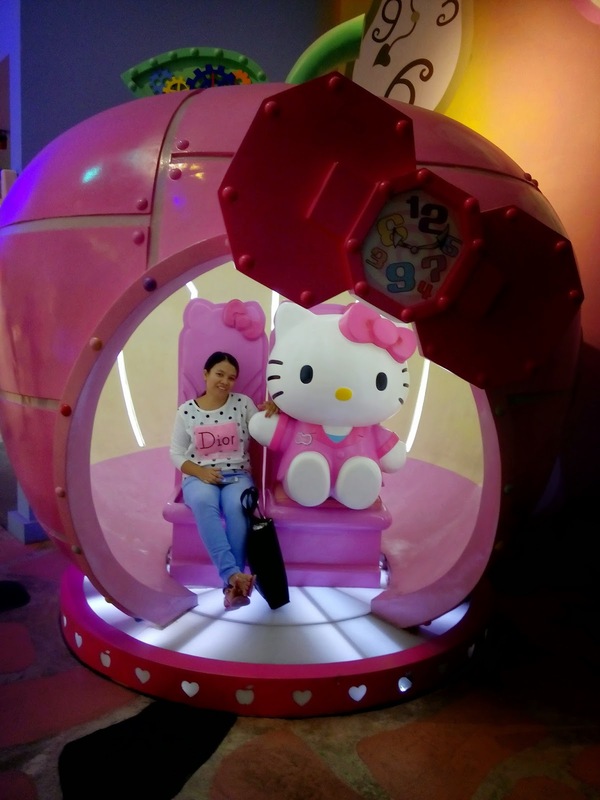 On the entering building I saw the Hello Kitty picture, sure we didn't want to miss moment to take another photos again! There was a lot of young kids with school uniforms when we got there. I soon knew that these the children were living in the Ancol's area and studying in Sekolah Rakyat Ancol. The school that was established since 2004 by Ancol tbk is to help the children in education for free. 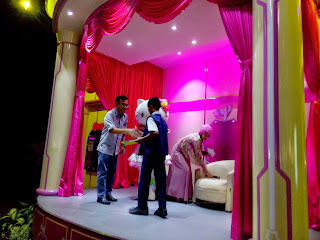 The event was opened with a group of dancers and followed by Hello Kitty which what almost kids waited for it! 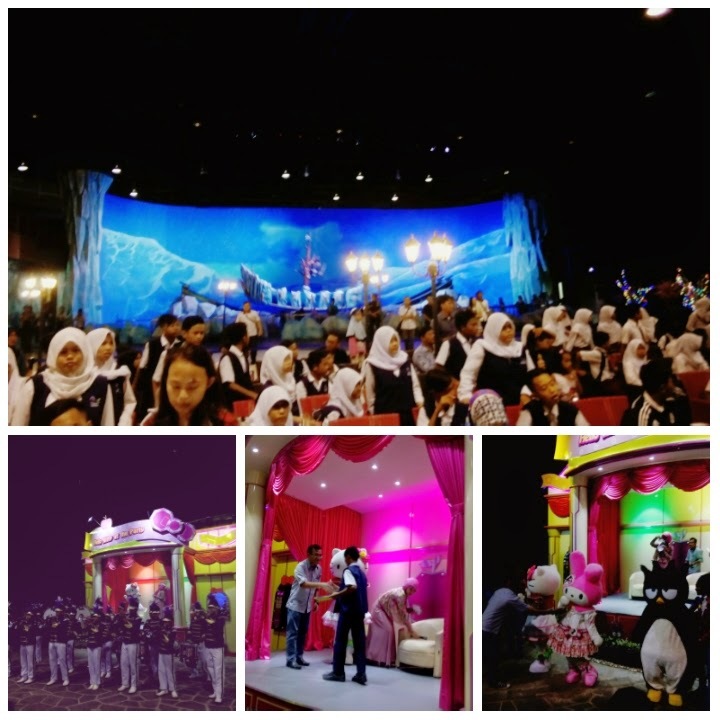 On their special event to celebrate their 30 years anniversary, Dunia Fantasi Ancol donated 200 books to the students in Sekolah Rakyat Ancol. The book was given by Agung Sudarno the General Manager of Ancol as the symbol for the donation. I looked back at the students that sitting behind me, they were very happy, they seemed enjoying the event and somehow made me happy too. It's a good feeling to see these young kids can get their education and not to worrying about paying anything. If all the companies in Indonesia can do the same just like what Ancol do, it would help the education better. Two hours had passed and time for us to get lunch. Delicious lunch was already provided, we went to the bufee that just few meters from us. Aftee lunch we took a time to went around the Wahana Hello Kitty. 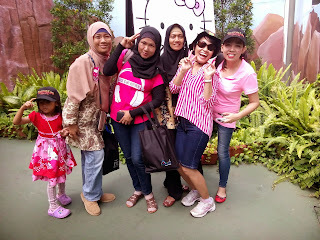 We didn't want to miss the chance to go around Dunia Fantasi so with the other bloggers we looked for some adventures! I was glad to see Purwanti seemed happy on her day off. At least I had my promise to bring her to Ancol, even better she had a chance to see Hello Kitty, her favorite one :D.